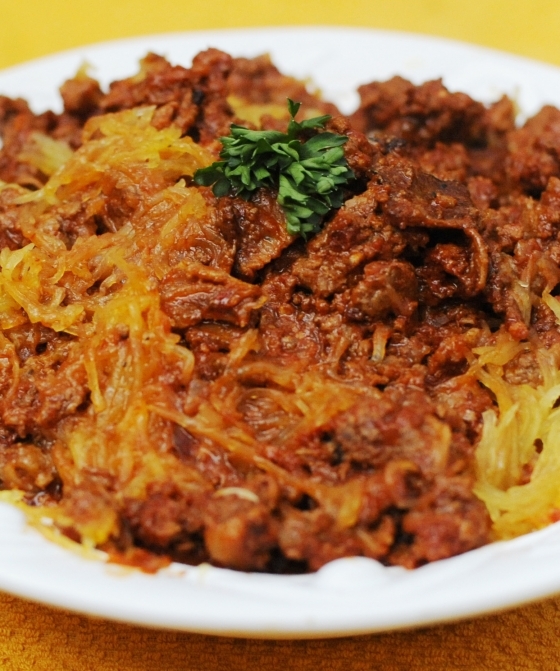 Okay, this is my last spaghetti squash recipe for awhile…I promise. But, you’ll be glad I shared this one. So I was driving home from work this past weekend, cold and starved and ready for dinner, but I knew it would likely be awhile before I could get dinner ready. Fortunately, my husband is completely awesome and had dinner ready. That was such a great surprise!! There is something to be said about a meal tasting better when you don’t make it, but regardless, it really was fantastic!! Everyone in the family loved it and Tate even had 3 helpings! I know the pictures aren’t super pretty, and maybe it was the US Wellness Meats bacon that made this meal so special, and the fact that Scott cooked it, but we just added another new staple to our family cookbook. Scott said it was pretty easy to make. 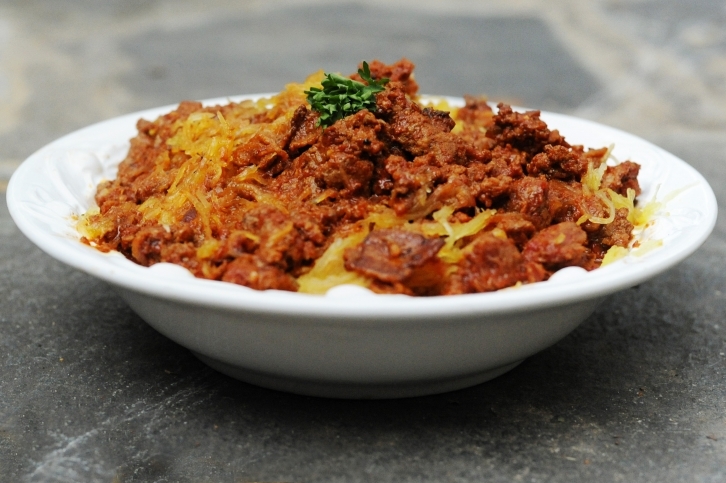 Start with your spaghetti squash. I think y’all have this by now, but just in case…preheat your oven to 400, cut the squash in half, scoop the seeds out, lay both halves face down and cook it for about 30 minutes or until soft. While that is roasting, finely chop your onion and celery. Scott said this part was a little time consuming. Too bad he didn’t know to use the food processor! Anyway, then saute them in butter until they start to become soft and put aside. Then, cut your bacon into small pieces and cook until brown. Then, add the ground beef in the pan with the bacon and grease. Be sure you DO NOT drain your bacon fat. That would be a mistake! Once the meat starts to brown, add in your sauteed veggies, the spaghetti squash and the rest of your ingredients, cook for about 15-20 minutes on low and enjoy! The kids topped theirs with Trader Joe’s Parmesan Cheese (made with raw cow’s milk). It’s good stuff, if you do dairy! I hope y’all like it!